Born in Chicago, Adam has performed with jazz artists such as Scott Hamilton, Melvin Sparks, Keith Tippett, Nostalgia 77, David Berkman, Herb Geller, Bobby Wellins, Martin Zenker, Tony Monaco, Barbara Morrison and Peter King. He has lived in New York City, Berlin, Edinburgh, Chicago, Salt Lake City, and Taipei, and has performed all over the world. 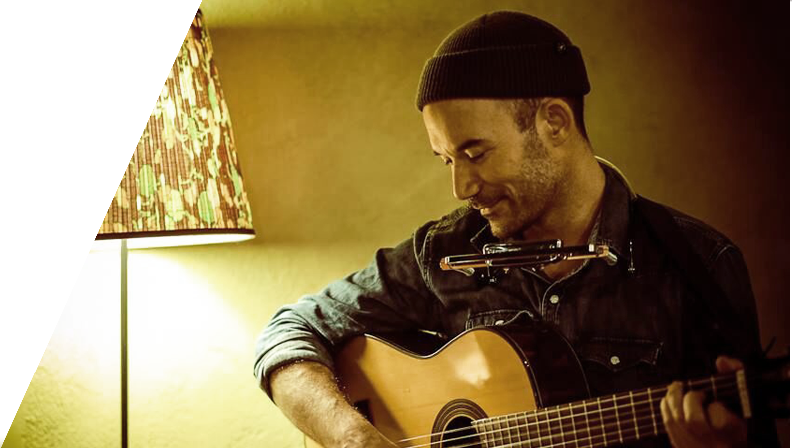 Adam has recorded and performed internationally as a singer/songwriter/guitarist, and released his solo debut in 2012, entitled ‘MIDWEST’, on City Creek Records. This record made the list for Top Folk Albums of 2012. He has toured Europe, Asia and the US, to support ‘Midwest’, and has received great reviews, and radio play in the US, Europe, New Zealand and Australia. His new record is coming out in the fall of 2015.